Maddy is tired out this morning. We deduce that her busy holiday schedule has caught up with her. So instead of going for a family swim at the Leisure Centre, we head for Café Nero on Lavender Hill, where we spread ourselves across comfortable armchairs and a table where Maddy can do her colouring. She’s delighted with the Tinkerbell magazine I’ve bought her. In the afternoon, Anna will take her to see Home at the Clapham Picture House, the hot kids hit of the Easter holidays, while I head back to start answering some of the scores of new emails and other messages I’ve been getting. I look up to see Elliot, an old friend and neighbour crossing the road towards the café. He’s in his seventies, with a mane of thick white hair and solid build. We’ve had a rewarding but intermittent relationship since meeting after a lecture I gave at the South Bank fifteen years a go or more. I saw him recently for the first time in quite a while after he sent me a most detailed and thoughtful response to my memoir. Aside from the wonderful parties he used to give occasionally until a few years back, we’ve had some good laughs together, not least the time when he stood up and interrupted an Islamophobic rant from Martin Amis at the ICA, accusing Amis in front of the sell-out audience of sounding like a third-rate leader-writer on the third-rate Daily Mail. Amis was apoplectic and sought us out afterwards. As he pushed his way angrily through the crowd, I feared fisticuffs might follow. However, once close up to my bulky friend, who towered over him, Amis must have decided that discretion was the better part of valour, especially given the vast sums he’d recently spent on new teeth. He spluttered out his indignation and tuned on his heel before we could decipher his toothsome recriminations or respond. When he comes in, I wave my old mate over to join us. For various reasons, including the fact that he’s been spending large amounts of time these past few years in his native New Zealand, Elliot’s never met Anna and Maddy and is delighted to do so. Maddy, however, is a bit unresponsive, as she sometimes can be meeting older people for the first time; to begin with, she looks at him as if he might be the Beast from Neverland. Maybe she just gets tired of performing. We spend some time catching up before I tell him my diagnosis. Elliot’s extremely sympathetic and offers himself for whatever help he can give. I’m suddenly filled with concern for him. Living alone, in his seventies, how will he cope if he finds himself in a similar situation to mine? 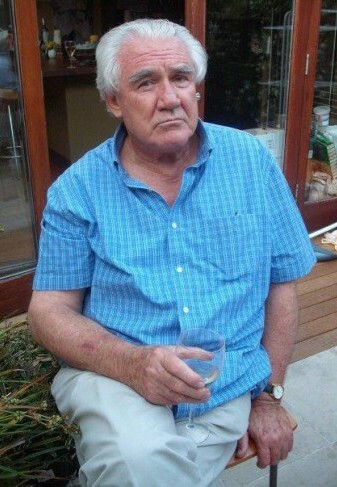 He certainly has friends, especially the loyal band which came over with him in the early 1960s from New Zealand. But they’ve now mostly gone back, died, or moved out of London. In their seventies themselves, mostly, how much could they be relied upon to rally round in a crisis? He has a son in Paris and one in London, with whom he’s been reconciled after being forced to give him up for adoption as a baby. But male relatives are generally useless, aren’t they, in this sort of situation? I make a mental note to be in touch more regularly. We only live a mile apart, after all. We go our separate ways, and after lunch at Anna’s, I head back to mine. I’m a bit intimidated at the thought of all the correspondence building up. But once I start, it becomes a pleasure. I’ve had such an abundance of supportive emails, texts and phone calls. A few of the more recent ones are particularly heartening. For example, I have a message from my younger brother in Australia, with whom I had quite a falling out in 2013, during his visit to Europe, leading to a more than year-long silence between us (we’re equally self-righteous and stubborn.) His message of support has the old characteristic generosity of spirit which I’ve always prized in him. He invites me and the family to come out and stay in Australia for as long as we want / can, once this mess is cleared out. And there’s his characteristic breezy humour, even more school-boyish than mine. He envisions me relaxing in his garden ‘with a good book and the chickens hunting around your feet…. (we can attach nostril plugs for their protection).’ It’s great that this crisis has helped us put all the misunderstandings behind us and we can now resume our former, easy, bantering ways. Then there’s the email from my friend Paul, a talented chef and restaurateur in St Girons, addressing me as ‘ma chère couille, ou devrais-je dire mon cher rognon… (my dear bollock, or should I say, my dear kidney…)’ and offering me one of his if it’s needed. One from a fellow-Gooner and former student, Sophia, who pays touching, and no doubt exaggerated, tribute to my role as a mentor in her on-going academic endeavours. One from my dear ex, Debbie, who burst into tears when I phoned her with the news, assuring me again that I’ll see this through and offering to look after Maddy if we need her. One from my good mate Tim, who was in our NCT group and has a daughter the same age as Maddy, wishing me a speedy return to ‘the daddy circuit’ of older (I’m much the oldest) local fathers (almost all of whom seem to have daughters) on Saturday mornings, which we’ve been part of for quite a while. And too many others to detail individually, all wishing me bon courage and offering whatever help they can. So perhaps I can keep up my writing but in a different form, following on from the memoir. I think it will really help me to understand my feelings, manage them, see things in perspective, acknowledge what’s most important to me and remain of, or acquire, ‘the right kidney.’ Besides, it’ll be an additional intimate narrative for Maddy to read when she’s older (because my first 3-4 years have pretty much always been a blank, I decided to keep a page-a-day diary of Maddy’s life from when she was born, something I’ve more or less managed to fulfil.) Anna has been keeping a blog for a while now as part of her recently completed AHRC fellowship to study New Orleans. It’s supposed to help disseminate her findings to a wider public outside academia. She’ll be able to induct me into the mysteries. Next stop Twitter? In the early evening I head over to Anna’s. She has been so utterly supportive since the news broke that I can’t find the words to thank her properly. Once we’ve exchanged news and I’ve had an affectionate tussle with Maddy, I raise an issue we’ve discussed several times since we’ve been together, but constantly postponed until we were ‘less busy.’ Now, despite my optimism about the future, I feel a real sense of urgency. Why, oh why didn’t we settle our affairs properly before? ‘I think we should get on with it now and get married. Will you have me, in sickness and in sickness?’ I joke. She smiles ruefully and gives me an affirmative hug and kiss. I’m hoping that my ancient, scarcely legible document, hand-written by a long-dead registrar in no-longer existing Tanganyika, isn’t going to cause any problems. Probably more of an issue will be the date. I have an appointment to see the surgeon at Chelsea and Westminster on Monday 13 April. How long will I be out of commission for? We can’t fix anything until we know more. We discuss the ceremony and agree that, to expedite it, it should just be us and witnesses. Much easier to organise. We can have a big party later, when I’m fully recovered. We decide to ask our two close friends, Tim and his lovely wife Elena, who live locally, if they’ll agree to help. ‘Let’s get things in train as soon as they re-open after Easter,’ Anna murmurs. As the evening develops, it’s increasingly clear that Maddy is wired. Is it over-tiredness from the excitement of the last few days or the wretched avalanche of chocolate which has descended with Easter, from which we’ve tried unavailingly to shield her? Whatever, she refuses the French beans Anna has cooked. Until now, she’s eaten them with relative relish, thank heavens, because they’re the only vegetables she will eat. O for the days when she was a baby and loved my broccoli soups! ‘They stink, mummy,’ Maddy complains, putting one hand over her mouth. I sense we’re in mini-crisis mode. It has to be resolved even if it’s the last thing I want at this moment. Fathering can’t just stop. If she gets away with it, it’ll be that much harder to persuade her to eat any kind of vegetable in the future. Not a good place to be, even if she eats masses of fruit every day. Anna and I exchange glances and we go into our unspoken routine of bad (me) and good (Anna) cop. With her habitual bottomless patience, Anna explains why we all need to eat vegetables. She reminds Maddy that sometimes our little girl finds it painful to poo. That she needs the minerals and carbs in vegetables, as well as fruit, to grow up healthy. That she’s always liked beans. ‘Carrots, I’ll have carrots,’ Maddy responds, knowing full well we don’t have any because she never eats them. ‘OK, no more TV. And no treat for dessert,’ I say, as threateningly (not very) as I can. ‘Come here, we love you, baby,’ Anna murmurs, stretching her arms out. Maddy goes to her but the upset continues from within the safety of the hug. She’s adamant that she won’t eat beans and that she will watch TV and have a treat. The stand-off continues for half-an-hour. Anna and I are about to surrender when she suddenly and unexpectedly concedes. It seems like a good enough compromise to me. We can’t bear conflict with her. Maddy looks at me dubiously, as if I’ve tricked her. I have a sudden flash-back to my childhood in Tanganyika. I must have been four or five and my older brother Ames, with whom I shared a bed-room, twenty months older. When my mother served up beetroot in the dining-room, we both gagged at the sight and smell (it’s one of my favourites now). We were sent to our room with trays, and told we couldn’t come out again until we’d eaten everything on our plates. We gobbled up everything else first, then proceeded to stuff the beetroot under our mattresses. Returning to the dining-room with our scavenged trays, we were given permission to go outside to play once we’d all taken our siesta. Taking advantage of her closed bedroom door, we tip-toes out with the offending beetroots and threw them into the manyara hedge which surrounded our government bungalow in the tiny village of Manyoni. Later, my mother noticed a tell-tale stain on my shirt. ‘Have you hurt yourself?’ she asked. Now I’m facing the same kinds of dilemma as my mother did. It makes me see her parenting in a different light. 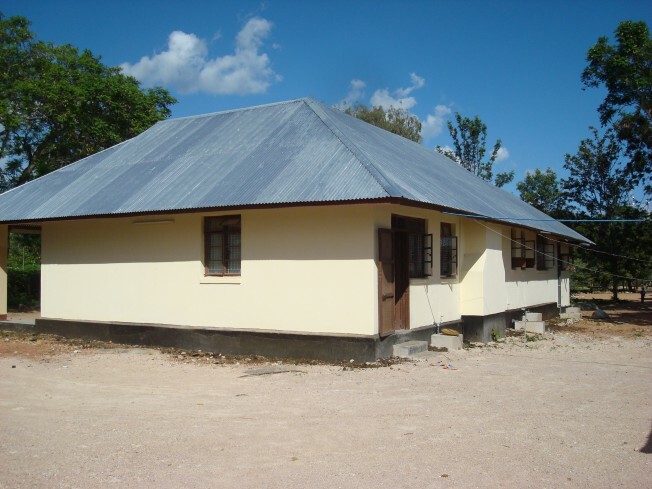 Our old government bungalow in Manyoni. Photo taken in 2010. Colonial splendour! Bed-time is long but fairly easy, once we remind Maddy that, like Father Christmas, the Easter Bunny will only leave treats for girls who’ve been good. ‘So thank heavens you ate your greens, baby,’ I add manipulatively. She seems to take the point. One good thing about tantrums is that they’re as tiring for little ones as they are for their parents. Once the saucer eyes have closed, I stay on the bed, my finger nestled in her relaxing grip, wondering if I’ve been a good father to her. I compare the way I was parented with how we look after Maddy and it’s chalk and cheese. I’m old enough to be her grandfather. Am I doing things right? Or am I stuck in some old-fashioned conception of daddyhood? Do we let her watch too much Disney? Should we ban commercial children’s TV which produces the inevitable reflex ‘I want’ with every ad? Should she be on the Ipad less? Should I be putting my foot down more – or less? I was pushed and pulled a lot as a child and I don’t want that for Maddy. As long as she’s happy, healthy, curious, empathetic and gregarious (all of which she is) I’m content – at least for the moment. I guess every (concerned) father asks himself the same things. Are there things I could be doing differently or better? The question seems to take on extra force now that I’ve got this wretched thing. Is it because on some level I’m beginning to acknowledge to myself that my time with her may be limited? ‘My golden boy,’ my mother sometimes used to whisper in my hair when I was falling asleep. ‘My golden girl,’ I murmur into Maddy’s.